This course is designed for pilots who wish to renew their Specific Operating Permission (SOP) and Pilot Competency Cert (PCC). The course take just over four hours to complete and can be completed at your own pace. At the end of the course there is a test which can only be completed once and the score will be recorded. Upon completion, pilots should make contact via email to arrange their flight test. The exam may only be completed once. The pass score is 75%. If a student is unsuccessful in the exam their account will be reset and the content must be repeated. There is no extra cost associated with this. FlyRyte Drone Academy is Ireland's most renowned training provider for beginner to advanced drone pilots. Continuously leading the charge on innovating Irish Drone Training and providing the highest standard of training and support to their pilots. "The instructors at FlyRyte are clearly extremely knowledgeable and experienced in their respective field. They make all the course material extremely easy to digest and understand. 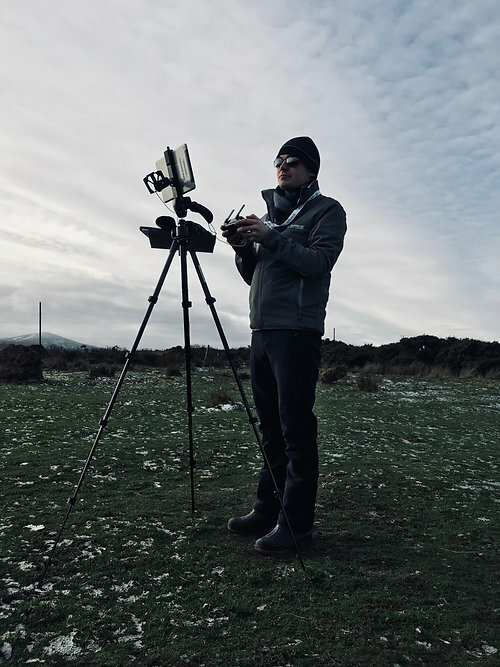 The team are leading the way when it comes to drone education and safety in Ireland and are keen to keep up to date with all the latest changes." "I have trained and worked with the FlyRyte team on a number of occasions. I have found them to be professional, organised and above all very supportive and knowledgeable in complex situations. I am happy to recommend them to others"
"The training and advice that I received from the instructors at FlyRyte was excellent and very informative. The trainers are extremely knowledgable, professional and they have a wealth of knowledge in aviation. Since completing my training I've had to call on the trainers for advice, they have been exceptionally quick to respond to any questions I've asked and they were more than happy to help in whatever way they could. I would highly recommend FlyRyte and I would have no hesitation recommending them"
"“The team at FlyRyte trained Cork City Council staff and Emergency services for drone use in Survey and SAR. The training they provided along with the development of procedures was very easy to understand. They are leading the way is this field." Irish Airspace... where can I fly this thing?! IAA approved online renewal certification. This training is to be used for renewal or bridging ground school certification.